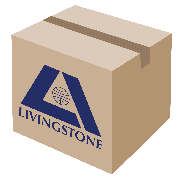 Thankyou for your interest in becoming a Livingstone reseller. We view our Livingstone resellers as members of our extended family. With a catalogue of over 90,000 products, in more than 20 industries we’re at the cutting edge of meeting the demands and developing the best supplies, that Australian businesses use everyday. 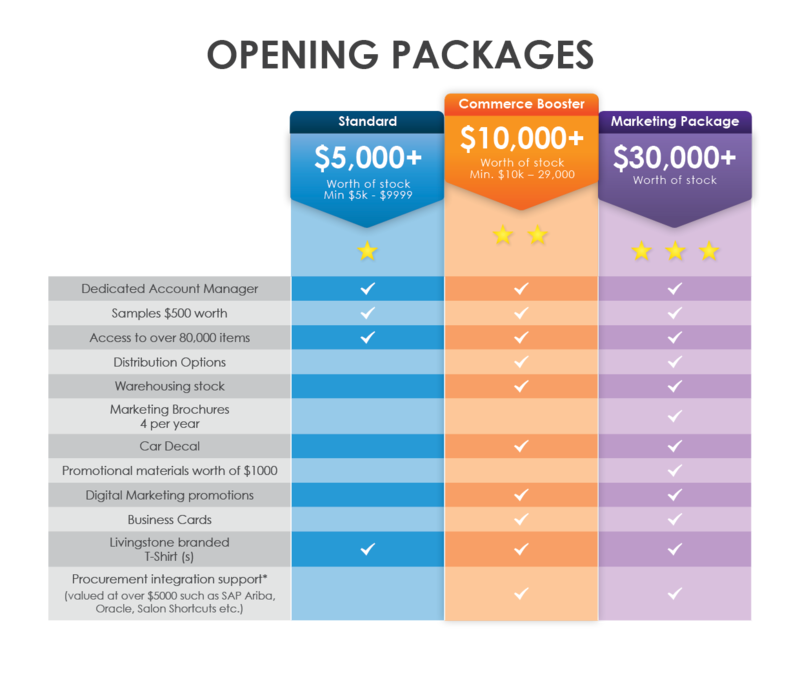 Our reseller channel partnerships are tailored for all businesses. in-store bricks and mortar businesses, ecommerce websites, mobile technologies and supply chain networks. Whether you are an individual entrepreneur, a small business owner, or a Fortune 500 company, Livingstone International will help grow your business with our quality products. We carefully select and approve our reseller partners based on a number of factors. We love to work with professionals that have committed sales and marketing strategies designed to promote growth and long term development mutually beneficial to the Livingstone brand. Terms & Conditions: the following opening packages are based on approved applications only and are applicable to orders placed from 1 December 2016. Livingstone reserve the right to include or exclude items listed in these packages. Stock is also subject to availability. *Procurement integration applies to SAP Ariba, People Soft, Oracle, Salon Shortcuts. Please contact us if you use a procurement software program not listed here.